이 논문은 중국발 미세먼지로 인한 환경오염 문제를 1982년 UN해양법협약(UNCLOS)을 통하여 해결하는 방안을 살펴본다. 우리나라와 중국은 모두 UN해양법협약의 당사국이기 때문에 동 협약의 규정은 양 국에 법적 구속력을 가진다. UN해양법협약 제1조 1항 (4)호 ‘해양환경오염’의 정의에 따를 때 중국 육상에서 유해한 미세먼지를 발생시켜 “대기(atmosphere)” 등을 통하여 해양환경에 들어오게 하는 것은 해양환경오염에 해당하는데, 이러한 중국발 미세먼지는 육상기인 대기오염 물질로 볼 수 있기 때문에 UN해양법협약의 육상기원 오염원 관련 규정이 적용될 수 있을 것이다. 또한, 중국발 미세먼지로 인한 우리나라의 환경피해는 월경 오염 (Transboundary Pollution)에 의한 피해라고도 볼 수 있다. 이러한 내용을 기초로 미세먼지로 인한 환경오염 문제를 해결하기 위하여 다음과 같은 세 가지 방안을 제시한다. 첫째, 중국발 미세먼지로 인한 환경오염 문제는 월경 환경 피해의 문제이므로 월경피해방지초안 등을 참고하여 우리나라와 중국 간에 협력을 하여야 한다. 둘째, UN해양법협약 제12부의 해양환경보호 조항을 기초로 우리나라와 중국이 미세먼지로 인한 해양오염을 경감하고 최소화하기 위하여 협력하여야 한다. 셋째, UN해양법협약에 따라서 우리나라가 중국과 미세먼지의 감축을 위해 협력을 시도하였으나, 중국이 미세먼지의 감축을 위한 협력 등이 미흡하여 UN해양법협약상의 의무를 위반하는 것으로 판단될 경우, 우리나라는 UN해양법협약상의 분쟁해결제도를 활용하는 것을 고려하여야 한다. This article suggests the use of the 1982 UN Convention on the Law of the Sea (UNCLOS) in order to solve the pollution problems caused by toxic dust particles from China. Since both the Republic of Korea and China are the State Parties to the UNCLOS, the provisions of it have the legally binding forces over the two countries. Under Article 1, paragraph 1(4) of the UNCLOS, “pollution of the marine environment” means the introduction by man, directly or indirectly, of substances or energy into the marine environment, including estuaries, which results or is likely to result in such deleterious effects as harm to living resources and marine life, hazards to human health, hindrance to marine activities, including fishing and other legitimate uses of the sea, impairment of quality for use of sea water and reduction of amenities. Toxic air particles from China can be regarded as pollution from land-based sources under Article 207 of the UNCLOS and/or as pollution from or through the atmosphere under Article 212 of the UNCLOS. The damages to the environment of the Republic of Korea caused by toxic dust particles from China may be considered as damages from transboundary pollution too. On the bases of these factors, this article suggests three measures to solve the pollution problems due to toxic dust particles. 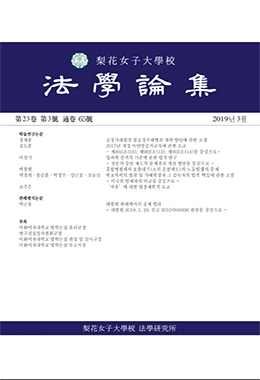 First, both Republic of Korea and China must cooperate in accordance with 「Draft articles on Prevention of Transboundary Harm from Hazardous Activities (2001)」. Second, Republic of Korea and China must cooperate, in particular, in order to minimize to the fullest possible extent the release of toxic, harmful or noxious substances, especially those which are persistent, from land-based sources, from or through the atmosphere in consistent with Part 12 of the UNCLOS. Third, the Republic of Korea should consider the use of the dispute settlement procedure under the UNCLOS if the Republic of Korea cannot get satisfactory cooperations from China with a view to solving toxic dust particles problems.